I just helped my clients through a difficult REO purchase with multiple offers. I was able to negotiate a substantial price reduction for my clients, enabling them to purchase the Sausalito home they always wanted. Located in a desirable neighborhood, this 3 bedroom/2 bathroom Sausalito home exudes the California lifestyle. An open floor plan, with large living room, boasts unobstructed bay views from a wall of windows. Dramatic vaulted ceilings, exposed beams, built-in bookcases, window bench and gas fireplace finish off the heart of the house. The kitchen opens to the dining room with a bar for seating, granite tile counters, and gas range. The house also features wrap-around decks, separate office, two jetted tubs and central vacuum. 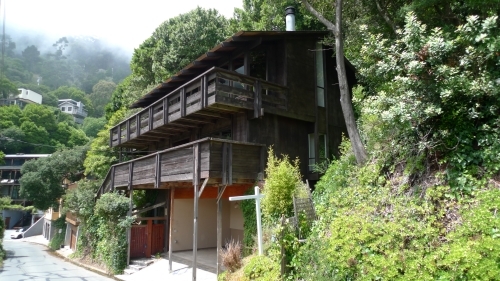 The property is located within walking distance of Sausalito's quaint downtown, shopping, and the ferry. Just off of the first exit north of the Golden Gate Bridge, commuting is a snap. Find out how I can provide a highly effective solution to purchase your dream house in Sausalito or to sell your Sausalito home with the best possible terms in today's market, by combining Internet expertise, access to our database of thousands of buyers, key relationships and other tools. For a complimentary consultation regarding your home's value or assistance in purchasing the right property, contact Jonathan B. Jacobs to schedule an appointment.